Looking for a Used Sebring in your area? 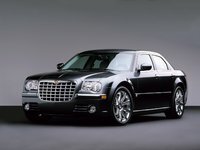 CarGurus has 1,482 nationwide Sebring listings starting at $1,000. The revamped Chrysler Sebring Convertible was the first Sebring model introduced for the 2008 model year, and it incorporates styling changes that were introduced with the 2007 Sebring hardtop. New exterior design elements included a grooved hood with six long lines that stretch from the front end to the windshield and upsloped side lines that give the Sebring a more aggressive yet contemporary appearance. The 2008 Sebring Convertible also featured an updated front grille and new wheels. But the biggest news for the 2008 Sebring Convertible was the addition of an optional retractable hardtop, the first in the car's history. The hardtop raises and lowers at the touch of a button (located on the instrument panel and the key fob) and stores compactly in the trunk. The Sebring Convertible is also available with power-retractable softtops of cloth or vinyl. Another new option is the available back-seat windscreen, which helps reduce turbulence for front-seat passengers. When not in use, the windscreen stores in the trunk. Like the hardtop model, the Sebring Convertible comes in three trim levels. The Base version has a 2.4-liter double-overhead-cam, dual variable-valve timing (DVVT) inline four cylinder that produces 173 horsepower. Stepping up a notch, the Touring trim package includes a 2.7-liter double-overhead-cam flexible-fuel V6 that pumps out 189 horsepower. At the top of the line is the Limited model, with a 3.5-liter single-overhead-cam V6 that produces 235 horsepower. The Base and Touring packages come with a standard four-speed automatic transmission, while the Limited is equipped with a six-speed AutoStick automatic transmission. All models feature six-way power-adjustable front seats, power rack-and-pinion steering, air conditioning, power door locks, a keyless entry system, and an AM/FM stereo system with an in-dash six-disc DVD/MP3 player. Among the Sebring Convertible's many options are a MyGIG Multimedia Infotainment System with Sirius satellite radio and GPS navigation, heated front seats, and heated and cooled cupholders. 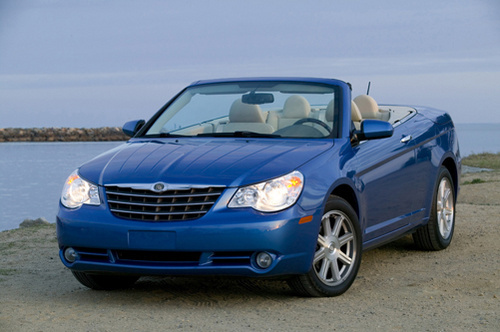 What's your take on the 2008 Chrysler Sebring? 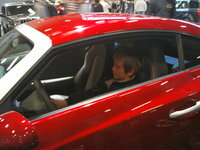 Kriscasey If you want a race car this is not what you want. If you want adequate power,style and a great ride this is exactly what your looking for. When you lower the top, it is amazing! You won't regret buying this car. 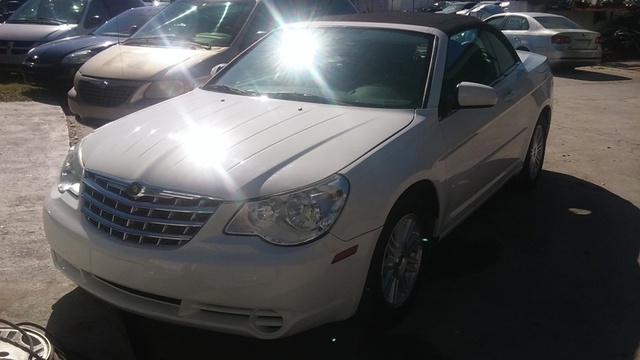 Have you driven a 2008 Chrysler Sebring? What does the "W" on the shifter of the car stand for and do?? ?